This entry was posted in Edgewater Casino and tagged BC Pavilion Corp, BC Place Stadium, City of Vancouver, Development Permit Board, DPB, Edgewater Casino, Kendall Report, PavCo, Perry Kendall, petition, signatories. Bookmark the permalink. As a citizen of Vancouver I urge the City of Vancouver’s Development Permit Board to return the Edgewater Casino proposal to City Council for further review. In light of Dr. Kendall’s recommendations and Vancouver’s Healthy City Strategy the city needs to implement a harm reduction strategy for the Casino. 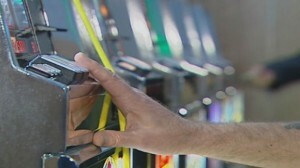 Gambling is addictive and costly to everyone including taxpayers (voters) and non gamblers.